We are excited to host our ninth annual CSRworks conference! 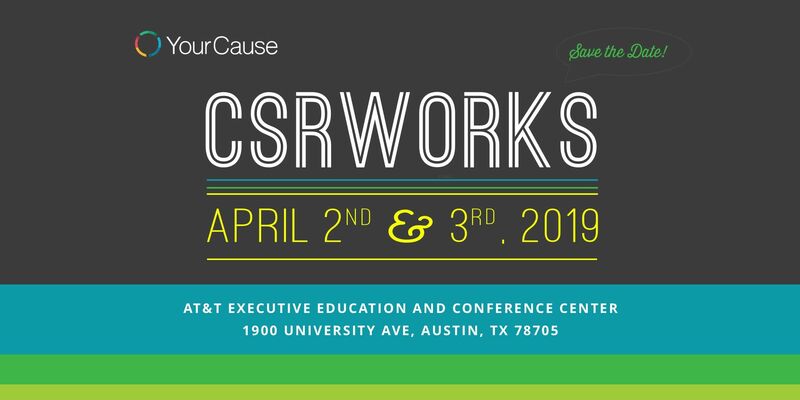 Join us in Austin, Texas, to celebrate and innovate the great work you are accomplishing as a leader in the Corporate Social Responsibility community. Plan on spending two fun-filled days connecting, collaborating and communicating how we are going to make a bigger impact in our companies and the world.